and enable our members to make a smoother transition into the wider community, whilst reducing their feelings of isolation and helplessness. Your support will enable us to cover our basic running costs and will also provide much needed funds for education bursaries and emergency funds for individuals who are ‘in transition’ and not yet in a stable situation regarding housing, employment, welfare etc. All contributions, no matter how small, will help. Please treat all donations that I have made to MAVAR (charity number 1156754) in the past 4 years, today and in the future as Gift Aid donations. Please notify Mavar if you want to cancel this declaration, change your name or home address, or no longer pay sufficient tax on your income and/or capital gains. 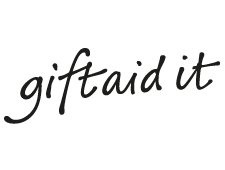 If you pay Income Tax at the higher or additional rate and want to receive the additional tax relief due to you, you must include all your Gift Aid donations on your Self Assessment tax return or ask HM Revenue and Custms to adjust your tax code.